Zhengzhou (Chinese: 郑州, pinyin: zhèngzhōu) is the capital of Henan Province in the People's Republic of China. It is in the northcentral part of Henan. Zhengzhou is on the southern bank of the Yellow River. It is one of the Eight Great Ancient Capitals of China. In 2010, 9,378,000 people lived there. 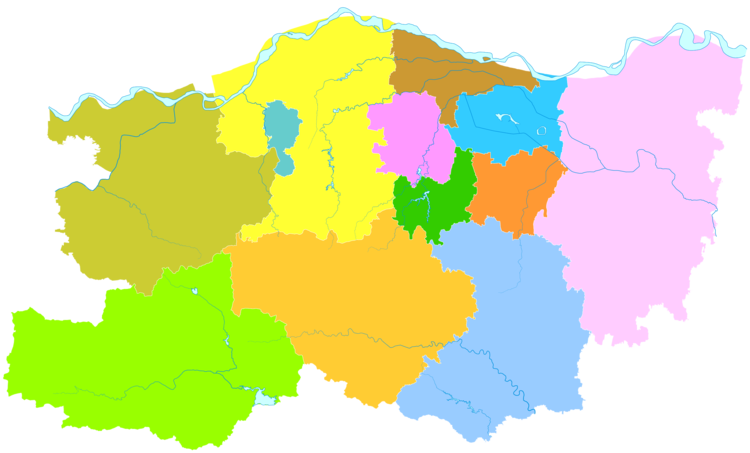 As of 2017, the prefecture-level city is divided into 6 urban districts, 5 county-level cities and 1 county. Because of rapid population growth, the subdivisions may change. This page was last changed on 1 December 2018, at 23:16.